I love DEAN MARTIN and there is no excuse for BELLS ARE RINGING being on at 5:30 am tomorrow morning. It should have been in prime time. Interesting you should say that. I just recently read Piper Laurie's memoir "Learning to Live Out Loud," and that's exactly what she says about Mature - that he was the least pretentious actor she had met. Don't agree about The Shanghai Gesture, though. I think he did what he could with the silly role, trying to make like Turhan Bey, or maybe Conrad Veidt. I enjoyed reading Piper's memoirs (several years ago). 1:15 p.m. Dangerous Mission (1954). Thriller with Victor Mature and Piper Laurie. I’ve always liked Victor. Las Vegas Story is on at 4;15 and is another good Mature movie. Dangerous Mission is in color and features Glacier National Park. 4:45 a.m. Roughshod (1949). Mark Robson western with Gloria Grahame. It's a remake of "Nothing Sacred", with Jerry as Carole Lombard, which means he doesn't really have six months to live in this version either. fans of baaaaaaaaaaaaaaaaaaaaaaaaaaaaaaaaaaaaaaaaaaaaaaaaaaaaaaaad acting who are early risers would do well to tune in to TCM tomorrow morning at 6:15 am for THE TOY WIFE (1938). LUISE RAINER was a pioneer of the form. 6:15 a.m. The Toy Wife (1938). 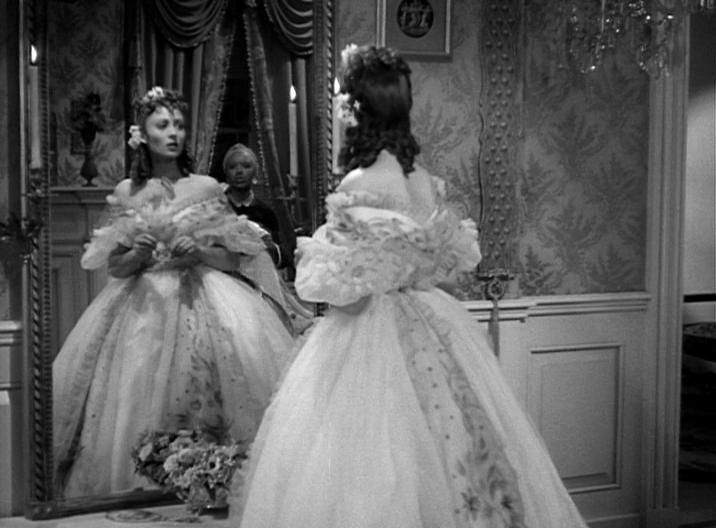 Luise Rainer is not the first person who comes to mind to play a Southern Belle. I’m curious. It sort of reminds me of the CAROL BURNETT SHOW sketch about where CHARO is asked to play the lead in LOVE STORY and she's supposed to be dying and comes out with the guitar and the screaming and the hip thrusts. mind you- i have not seen the skit in many many years- not for lack of searching tho. edit- omigah, FOUND IT, and of course i remembered most everythign wrong, except it's still funny as Hell. OMG, START AT 3:07 IF YOU NEED TO, BUT WATCH THE ABOVE CLIP!!!! I actually saw part of this skit around a month ago when I was channel surfing! I DON'T think i'll ever forget seeing this as a kid. a major formative moment in my childhood. there's also a touch of LUPE VELEZ going on in Carol's work here. 10 a.m. Popeye: Hyp-Nut-Tist (1935). Back to Popeye! 2:30 a.m. World on a Wire (1973). Rainer Werner Fassbender tackles virtual reality in 1973! 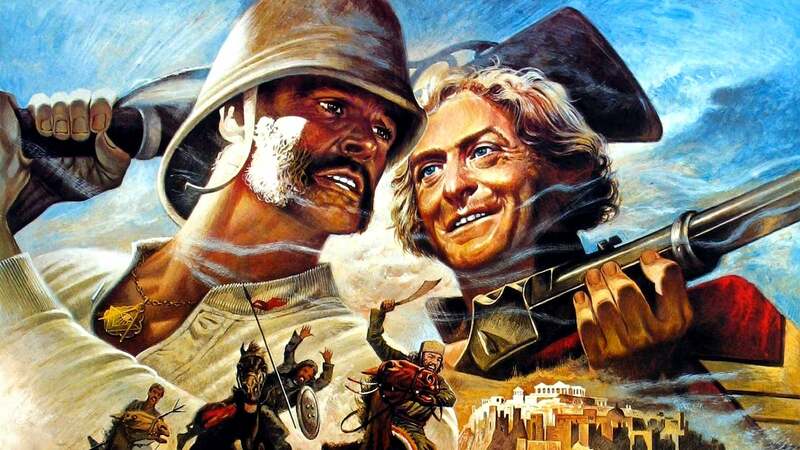 I was recently talking about what a good year for films 1975 was, and a prime example is on tonight at 10:00 pm- THE MAN WHO WOULD BE KING, directed by John Huston and starring SEAN CONNERY and MY COCAINE. It is a perfect film. Fragments is also fascinating, with glimpses of various silent films that are almost completely lost. The fragment of an early John Ford film shows that he did not begin as a great director, to put it mildly. Synopsis: A collection of fragments and trailers from lost films, hosted by film archivists Mike Mashon and Mike Pogorzelski. sounds pretty interesting...anyone remember any of the titles they show? I wrote this a long time ago - spring 2011 - right after this documentary was shown on TCM. This is a true treasure for silent film buffs, but it comes up a bit short for fans of early sound film. If the title had been Fragments of Lost Slient Films I'd give this one a ten, because it is very good at giving the viewer a sense of what has been lost from our silent film heritage - 90% of these are gone largely due to two factors. One is the fact that all silent films were placed on volatile nitrate and either decomposed or worse burst into flames causing the loss of many other silent films. Safety stock did not come into use until 1950, and even then only MGM made an organized attempt to transfer their films to the newer more durable media. The other factor is that after sound came in people considered silent films to be useless and simply discarded or neglected them en masse. Specific stars are mentioned who have had their film histories largely erased. These include Theda Bara who made over 40 films for Fox but only two of her films survive. The narrators mention that her appeal in the 1910's is impossible to evaluate since so little of her work survives. Then there is child star Baby Peggy. The final reel of one her few surviving films - Darling of New York - recently resurfaced and the exciting conclusion is shown. That's a real fire they're showing there folks and the piece is made even better with Baby Peggy - now 93 - talking about her actual memories of making the film and her fear of the real fire that was part of the set. The surviving fragment of "Flaming Youth" starring Colleen Moore was shown as well as surviving footage of "Red Hair" starring Clara Bow - the only footage of her in color that survives. Even Douglas Fairbanks and Lon Chaney, whose silent films have a pretty good survival rate, have some among the lost and fragments were shown here. The surviving portion of Emil Jannings performance in "The Way of All Flesh" is shown. It is particularly shocking that Paramount just let this one decay since it was one of the films that won Emil Jannings his Best Actor Oscar. The only place this documentary comes up short is in lost sound films. Only two fragments are shown and both are well known to early sound enthusiasts and are even on DVD - the two reels of the lost "Gold Diggers of Broadway" from 1929 and a very short surviving color fragment from "The Rogue Song" that shows only enough Laurel and Hardy to prove that they were actually in that film. The narrators do mention one reason why many of these early sound films were lost - the very early systems used sound on disc so the films were separate from the disc. Thus today we have complete soundtracks for films available from the late 20's and early 30's but no film. In fact, all that survives of many of the earliest sound films are their silent trailers, which were also shown in this program. Interesting fragments for sound films that could have been added to the presentation - 1929's "He Married In Hollywood" - the final reel of this musical survives in two strip Technicolor. Another good choice might have been the title musical number for 1929's "Red Hot Rhythm". That is all that survives of that film because it was accidentally edited into Vivian Duncan's personal copy of 1929's "It's a Great Life". Probably an interesting clip and definitely an interesting story of accidental preservation. 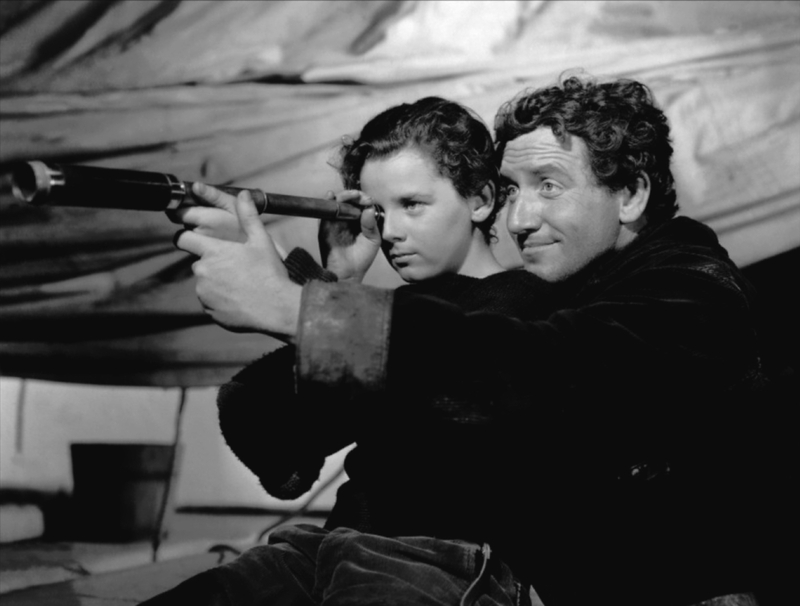 8 p.m. Captains Courageous (1937) One of Spencer Tracy's two Best Actor Oscar wins. The surviving portion of Emil Jannings performance in "The Way of All Flesh" is shown. It is particularly shocking that Paramount just let this one decay since it was one of the films that won Emil Jannings his Best Actor Oscar. In re: EMIL JANNINGS, he became an avowed Nazi before and remained one during WWII, so, I imagine there wasn't a lot of enthusiasm in re: preserving anything with him in it. although, it's always a shame when an important work is lost. According to Susan Orlean, author of Rin Tin Tin: The Life and The Legend (Simon and Schuster, 2011), Jannings was not actually the winner of the first best actor vote, but the runner-up. While researching her book, Orlean thought she discovered that it was in fact Rin Tin Tin, the German Shepherd dog, one of the biggest movie stars of his time, who won the vote. The Academy, however, worried about not being taken seriously if they gave the first Oscar to a dog, chose to award the Oscar to the human runner-up. Too late to make a long story short - during and after WWII there was not much enthusiasm for preserving Jannings' work because he was a Nazi, but Paramount would have probably lost the films in which he was featured anyways because the studio was just that careless with their film history. Tracy deserved the Oscar this time, but Freddie Bartholomew as the spoiled brat who finally grows up thanks to Tracy is his dramatic equal here. 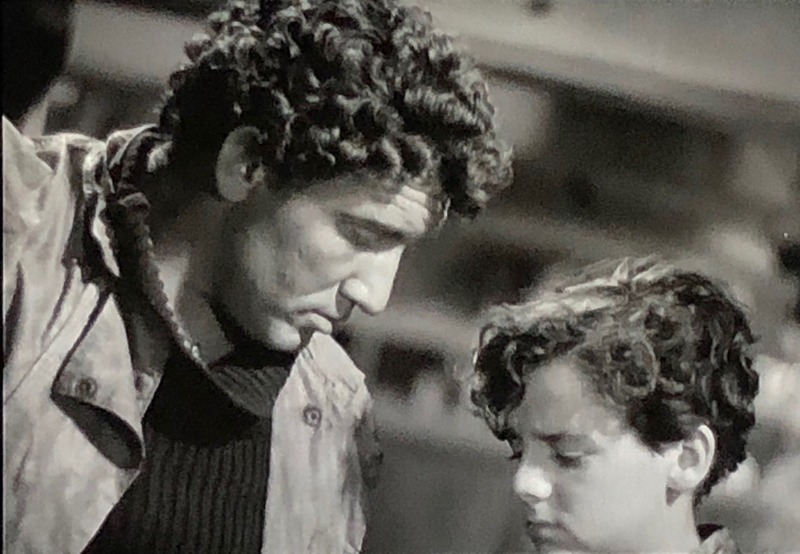 The scene in which he tells the fisherman that he would rather stay with him than go home is a stunning declaration of love by a vulnerable young boy. The sublime interplay of the two actors in this scene, combined with that heart breaking closeup of Bartholomew with tears in his eyes, could make a statue cry.